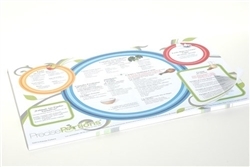 Smartly designed, handy placemats that put nutritional education, food tips, and diet guidelines where your patients and students need them most — on the dinner table! The Precise Portions Placemat Tablet is designed for health educators looking for the perfect tools to teach students and patients how to eat healthy for life. 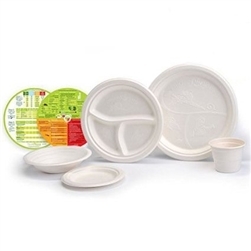 When combined with Precise Portions portion control dinnerware, the suggestions on these can help your patients better understand healthy eating and portion control, improve their eating habits, and track their progress. 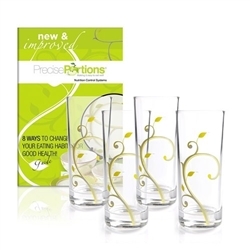 Portion control is just as important as eating healthy fruits, vegetables, whole grains, and lean proteins. This combined healthy eating lifestyle is critical for weight management, controlling blood sugar levels, preventing or managing pre-diabetes, and keeping blood pressure levels in the normal range. 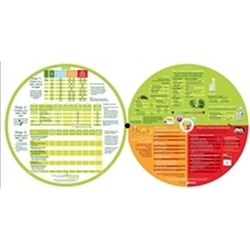 Using the current nutritional guidelines and tips printed on the front of the Precise Portions Placemat Tablet, simply pick and choose foods for every meal. Track your calories and nutrients, use the guide for determining appropriate portion sizes, and be confident that youÕre eating right! Keep water rings off your new menu planning guides with the Precise Portion Cork Coasters. 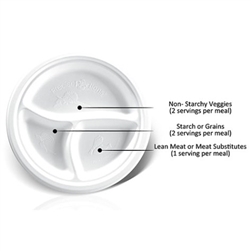 The Precise Portions system was developed by Registered Dietitians/Certified Diabetes Educators using the best science and the most current nutritional guidelines from the Academy of Nutrition and Dietetics, the American Diabetes Association, and the USDA MyPlate initiative. Each piece is designed with one goal in mind: To help your patients eat the right amount of food in the right proportion.